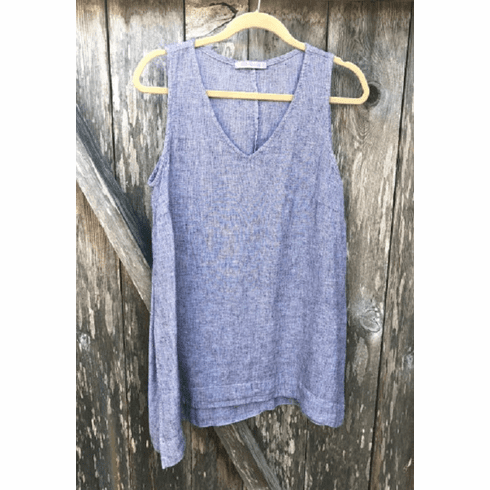 4195577 Cut Loose Cross Hatch Flowy Tank. Black crosshatch design with what ever color you choose. 55% Linen/45% Cotton. Made in USA.